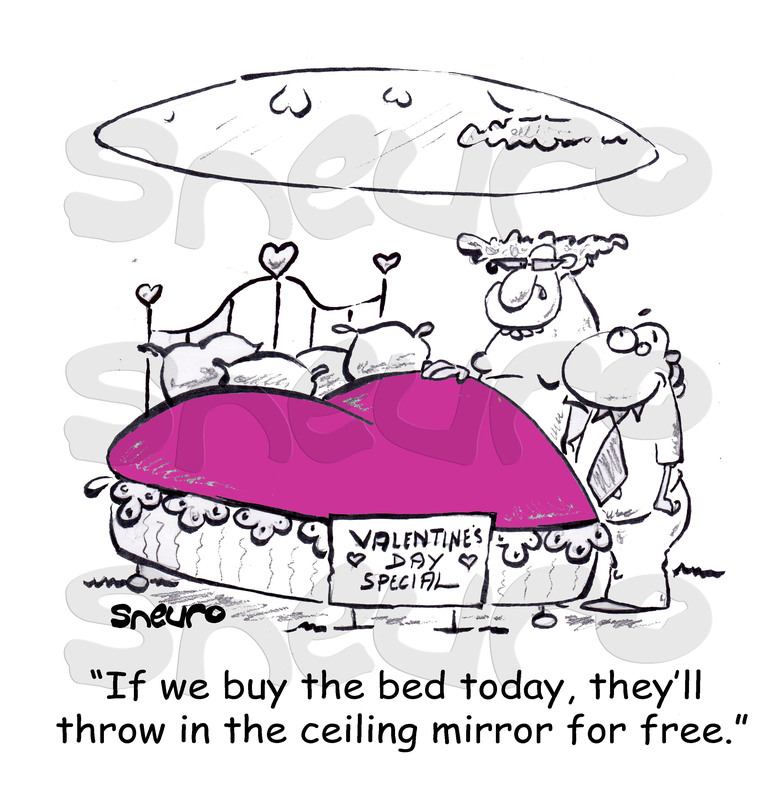 If we buy the bed today, they’ll throw in the ceiling mirror for free. Ah, true love is bliss. Check out these two trying to swing a deal made for lovers. If they go for it, I hope he’ll install the ceiling mirror well enough. Imagine if it falls on them… It will be their last Tango in Paris on Earth. Heaven forbid. Happy Valentine’s Day!